When we think of weddings, we think of beautiful flowers and a stunning bride. But all of those lovely details don’t just fall into place. 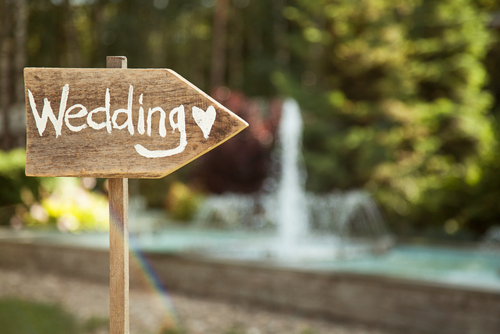 In fact, planning a wedding can be one of the most strenuous times in your life. That’s why it’s super-important for you to choose a venue that caters to your needs (and not just your food). The Scottish Rite Cathedral boasts multiple stunning backdrops for your nuptials. Right in the heart of downtown, this is the ideal setting for your ceremony and your reception. For your ease, Thomas Caterers specialize in custom catering to meet your desired menu. Parking is included, as are multiple dressing rooms for your convenience. Room rental can conveniently be extended, and Ashley and her team are wonderful to work with! The Sanctuary on Penn is Indianapolis’ only all-inclusive event venue. Built in 1875, the beautiful church is in the heart of the city and is gorgeous. They offer “The Dream Sheet” to customize your special day, taking care of details as big as finding a DJ for you to as small as setting up the centerpieces. They offer monthly payments (with no interest), free parking, and use of the space for the entire day. If you’re looking for an all-in-one venue, this is the stress-free way to go! Located just off of Washington Street on the East side, The Community Life Center can house your ceremony and reception (which is a huge plus!). Known for their 40,000 crystal chandelier (which is great for pictures! ), they boast no food and beverage minimums (Yes, you read that right), bride/groom suites, free parking, and access to the facility for up to 16 hours. Did we mention that they can accommodate up to 300 and include all tables/chairs/linens? Low stress? We think so! Not only is Union Station stunning, it’s listed in the National Register of Historic Places. The downtown facility can host both your ceremony and reception, in addition to housing your wedding party and/or out-of-town guests since it doubles as a hotel. If you’re planning for a big affair, the Grand Ballroom can accommodate up to 700. Union Station boasts complimentary food tastings, a dance floor, centerpieces, linens, napkins, and easy access to public transportation. Located on the North side of Indianapolis, the Montage is perfectly positioned with a lake view and private patio area with which to enjoy it. This venue offers 5 different wedding packages to choose from, making your wedding as low stress as possible; simply pick the package that’s right for you. Kahn’s Catering is on site and willing to work with any budget or craving. Free parking, multiple locations, and discounts for Fridays and Sundays. Whether you’re getting married near the Northside or Eastside - or right in the heart of downtown - Indianapolis has a low-stress venue to make your fairytale wedding dreams come true!